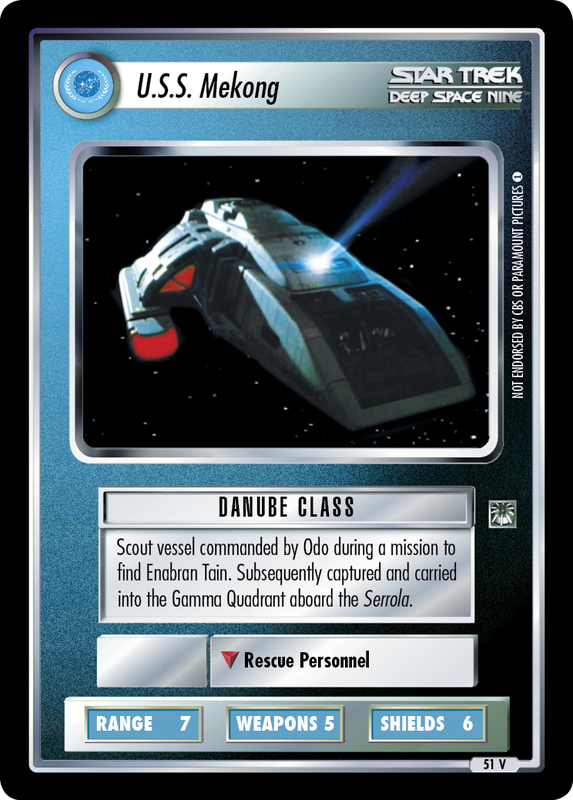 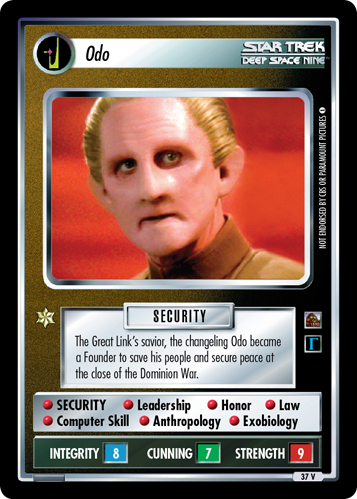 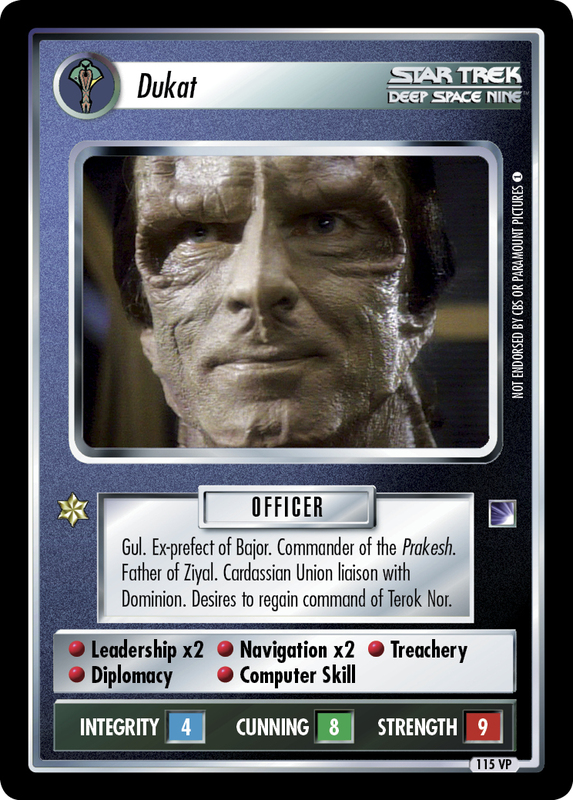 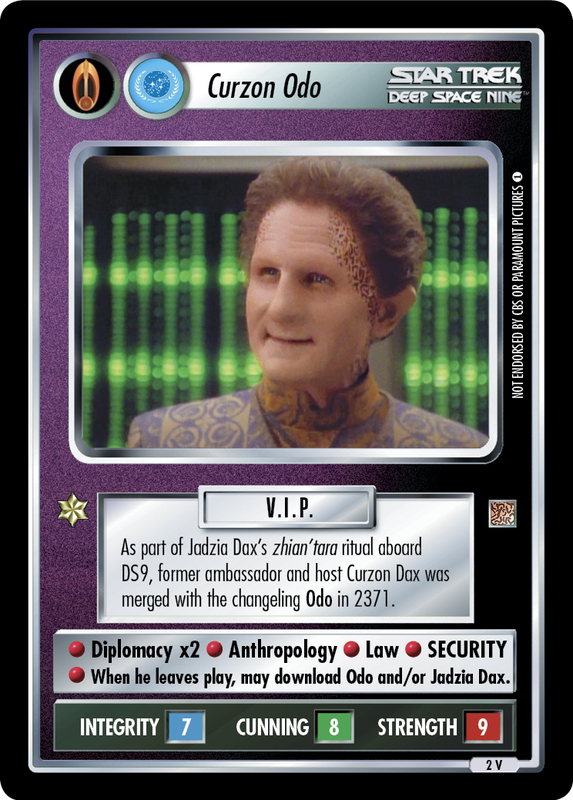 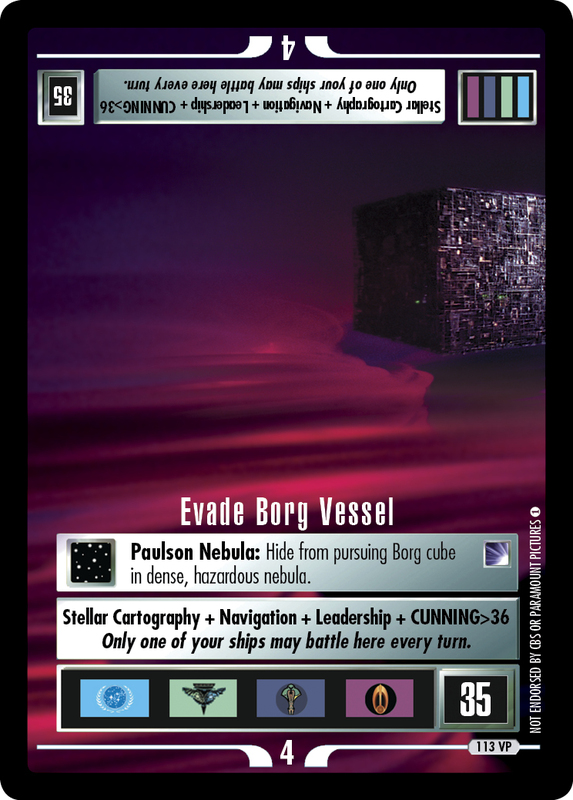 Changeling security chief of Deep Space 9. 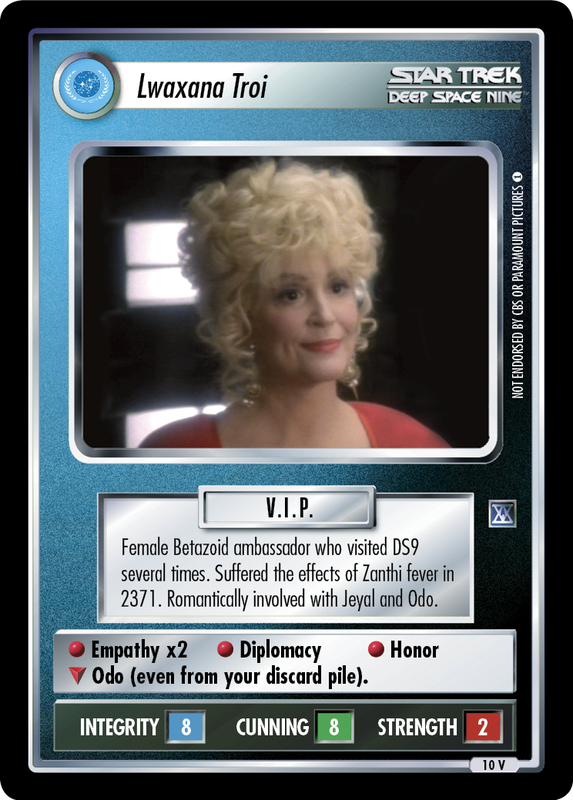 Not very good at pretense. 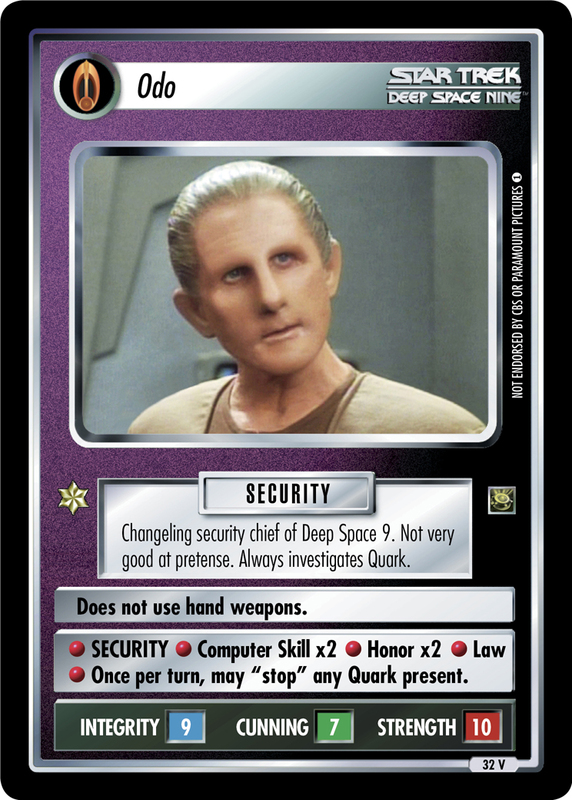 Always investigates Quark. 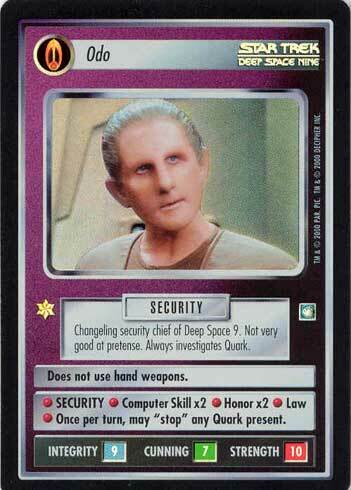 Does not use hand weapons. 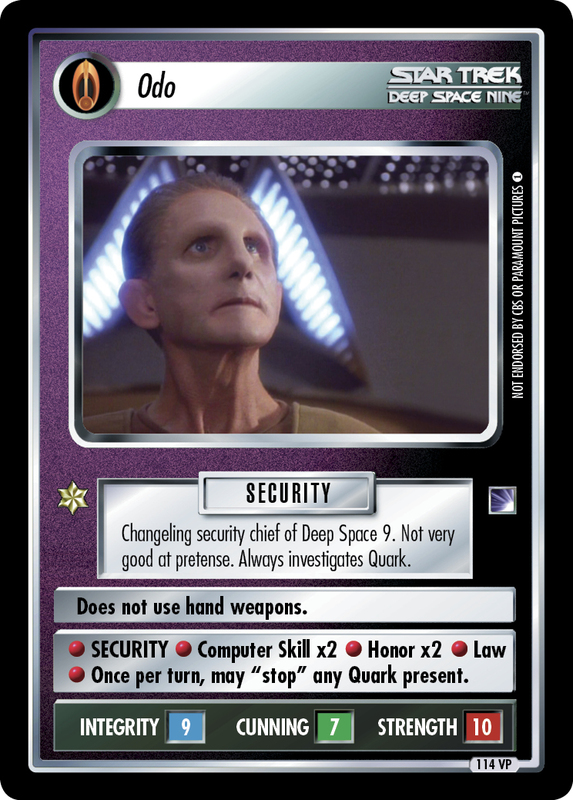 • SECURITY • Computer Skill x2 • Honor x2 • Law • Once per turn, may "stop" any Quark present.